Stainless steel wall rack with 24 pivoting bars. Drying position with lockable spacing of 2" (50 mm) between bars. 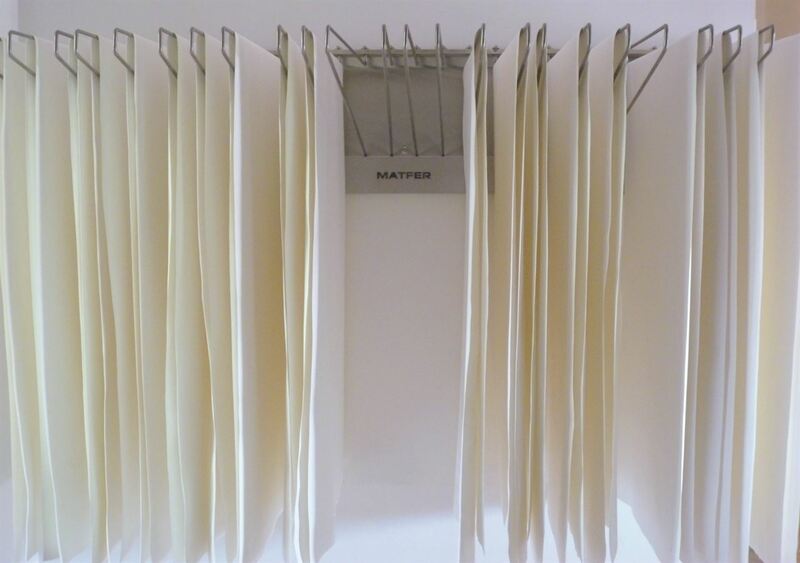 Bars can be folded separately from the rack to make space and facilitate the hanging of linens. 30 1/5" long bars. Recommended fixing height: 5 7/8' (1.8m) from the ground. 7 screws and 7 wall plugs supplied.